Environmental issues have become pervasive in our daily lives and there has been an increase in public concern on the degradation of the environment in recent decades. The Macau SAR government has been a major player in the promotion of public environmental awareness in the local arena but there has been no territory-wide assessment of the general public’s environmental consciousness. Consequently, the University of Saint Joseph conducted a survey, sponsored by the Macau Foundation, with a view to evaluate the current environmental knowledge and attitude, as well as the pro-environmental behaviour among members of the general public in Macao. Over the summer, there were 1,005 completed questionnaires. The speakers will present the main findings from their data analysis. Since the same survey had been conducted in Hong Kong, the talk will also discuss comparative perspectives between the two SARs, and offer both general and specific recommendations for the way forward in enhancing public policies and educational strategies in the protection of the environment. 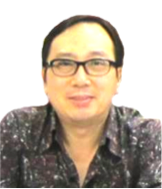 Prof. Dr. Eric Tsang is currently Associate Director of the UNESCO UNEVOC HK hosted by the HK Institute of Education, and visiting professor of the South China Normal University. He has over twenty years of experience in research related to environmental studies and sustainability studies. To date he has published over 70 international refereed papers and numerous book chapters and edited books. In the community he serves as the chairman of Green Power, a HK a green NGO and also member of the Advisory council on the Environment HKSAR. Internationally, he is a panel member of the United Nation’s International Year of Understanding spearheaded by the International Geographical Union. Dr. Emilie Tran is Assistant Professor coordinating the Government Studies programme, and the former Dean of the Faculty of Leadership and Administration at the University of Saint Joseph in Macao. She teaches politics and international relations, doctoral seminars, and supervises master and PhD students in government studies and global studies. 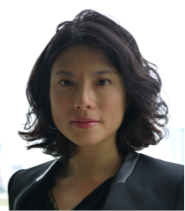 Dr. Tran’s research interests and publications (over 20 to date) pertain to contemporary China’s elite politics and the formation of government leaders; concurrently she researches on the gaming industry in Macao and identity issues in the SARs.